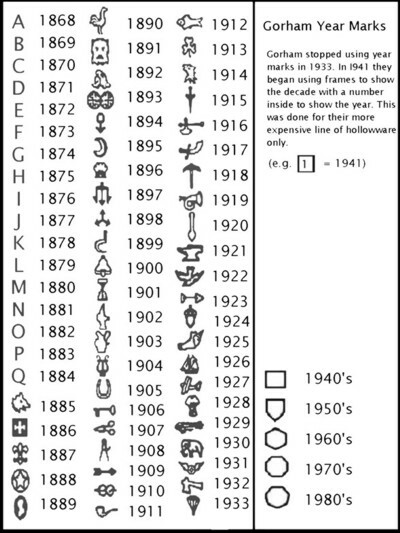 Before the US Congress enacted the National Gold and Silver Stamping Act of 1905, American manufactures could mark a piece with words like "silver", "Sterling" and "coin, even if the item contained absolutely no silver. 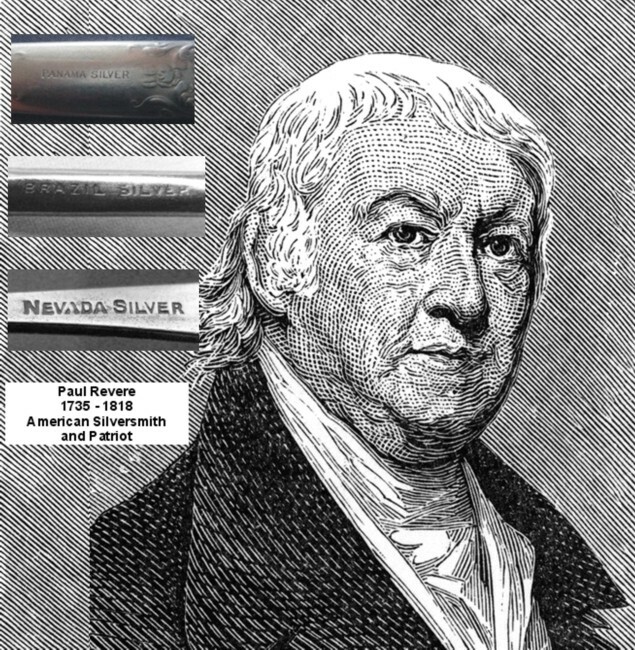 Even though the stems are marked "silver", the flatware below contains no silver . While there are no assay offices in the United states, some companies, like Gorham, developed their own system for dating their silver. Usually found on more expensive pieces, a copy of their dating system is shown below. 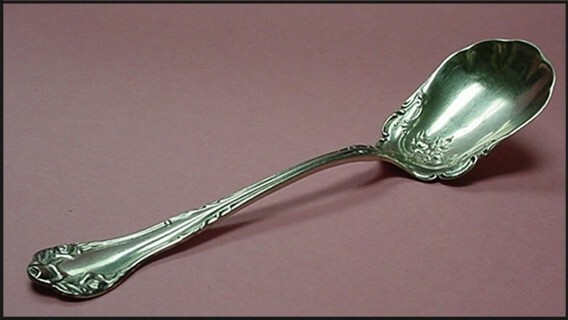 Before the American Civil War, the stems of place settings had a “C” shaped handle. The spoon below was made by John Round and dates to about 1860. After the war, the stems take on the serpentine look we still see today, where the end tips up (below). An unusual form or prominent silversmith can make a piece many times more valuable than the scrap value. Below is a rare late 18th century stuffing spoon by Hester Bateman. The current scrap value of this spoon is $67.00 (about $20 per troy ounce). It recently sold at auction for $200. Make sure you know the value before you melt. Just remember that when you melt a piece of silver, you melt a piece of history. We are happy to talk with you about our antique appraisal services and fees, but if you are not sure if you want to invest in the cost of an antique silver appraisal, review the tips we have provided and then use the following web sites to find information about your silver. Just put your cursor over the company name link and click. You may want to visit our Appraisal Services page. Small silver items can often be valued from photographs and the cost is nominal. You can use this for retail replacement values. Also, if you have inherited a silver service and don't know the pattern, you can email them with pictures (along with the marks) and they may be able to identify it for you. Replacements also has patterns for crystal and china. This is a free web site, but you must sign up for an account. While this service has a one-day cost of $14.99, it is very useful because you do not have to use keywords to search. You simply select the category from a drop-down menu. They also research their auction results, they don't just post the information. I have always trust their accuracy. This web site costs $3.25 for one month. You can also use it to research values and pottery marks. Researching silver marks can be very time consuming. It really helps to have an understanding of how, when, and why countries enacted silver hallmarking laws. 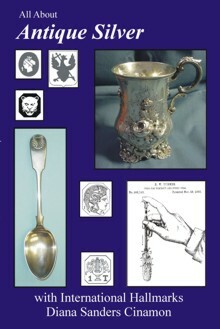 The silver images and information shown are excerpts from All About Antique Silver with International Hallmarks by Diana Sanders Cinamon. This book is an excellent reference and starting point for the beginning silver collector.